From choosing the right crystals and assembling a basic collection of important stones to creating a crystal "center" at home, this accessible guide helps you add a powerful source of energy to your daily routines. Only an elementary knowledge of math is needed to enjoy this entertaining compilation of brain-teasers. 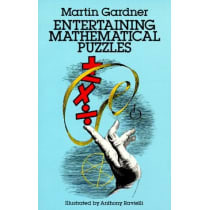 It includes a mixture of old and new riddles covering a variety of mathematical topics: money, speed, plane and solid geometry, probability, topology, tricky puzzles and more. Carefully explained solutions follow each problem. 65 black-and-white illustrations. 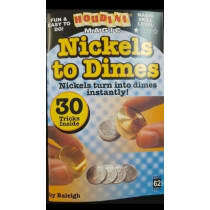 You show four U.S. or Canadian nickels and place a brass cap over them. Presto they change to dimes! 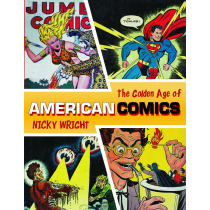 NO sleight of hand. Can be carried in the pocket. Easy to do. By Geno Munari. 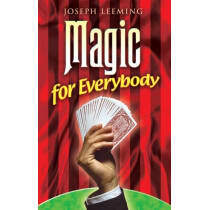 This book has 26 of the very best card tricks you can do with any deck WITHOUT sleight of hand. Easy to do! 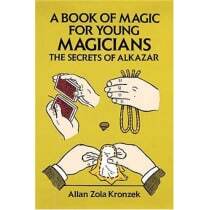 Is it magic? No, it's science! There's a lot more to magic than waving a wand. 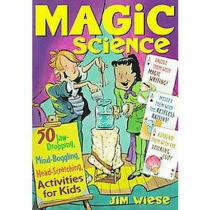 From chemistry to biology, gravity to electricity, discover the magical powers of science with this fun- filled easy to perform activities! Here's a bonanza of 93 stimulating brainteasers, ideal for limbering and strengthening young mental muscles. Many of the puzzles are classics, while others are presented here for the first time. 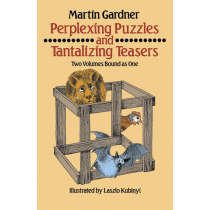 Ridiculous riddles, tantalizing teasers, intricate mazes, deceptive illusions, tricky questions, and a host of unusual word and picture puzzles offer young readers hours of challenging fun. 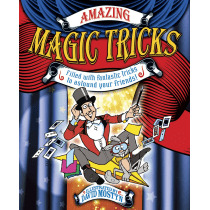 The name says it all: these are feats of magic that anyone can perform! 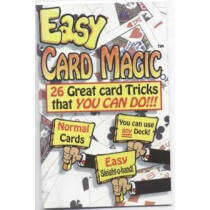 250 Easy tricks with Cards, Coins, Rings, Handkerchiefs and Other Objects. 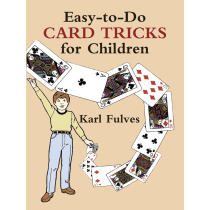 Children love card tricks,, and with this book by an expert in magic and card conjuring, youngsters will be able to master a host of tricks specially designed for them.